There is nothing cuter than seeing small dogs! 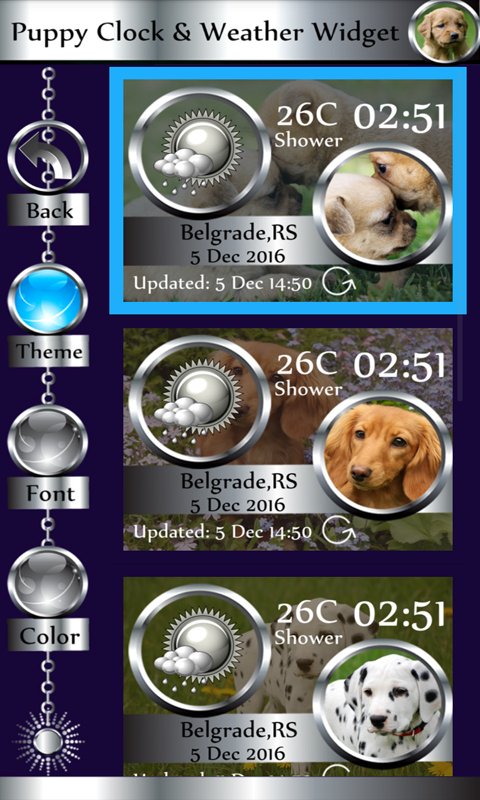 Now you can have them as your widget background thanks to the newest ♥Puppy Clock & Weather Widget♥ and you will have the coolest device with it. Everyone wants to know what’s the temperature like outside and it is certain that you will love this top app. 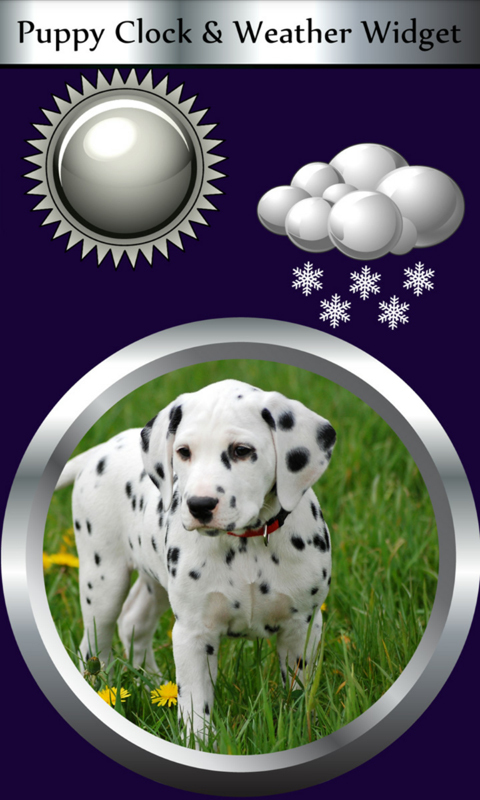 If you are an animal lover, then you will smile every time you look at your home screen and read information about the weather. 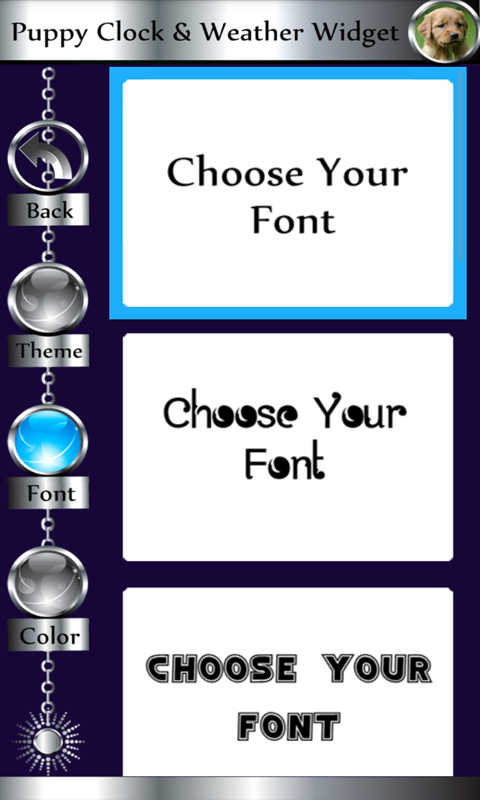 This awesome app offers plenty of themes that you can use to decorate your widget and you can change them every day if you like. What do you think of the one with three puppies in the green field? They are Bernese Mountain Dogs and they look so adorable as they look around the countryside in search for fun. 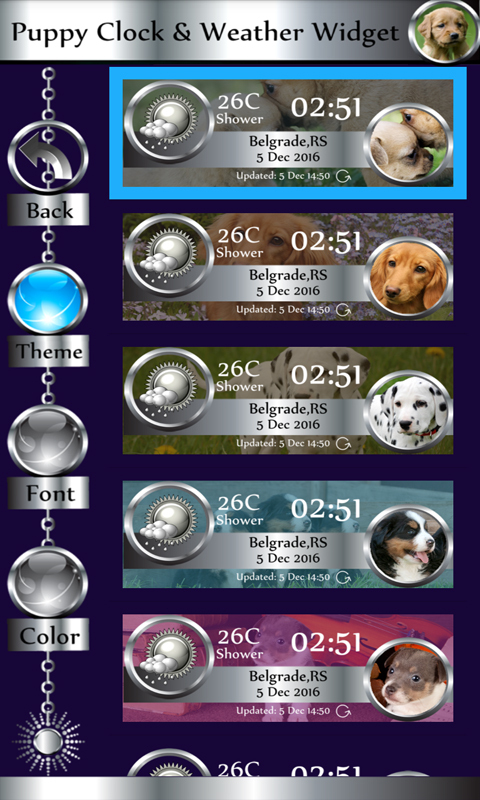 If you love what you have heard so far, wait no more and download free ♥Puppy Clock & Weather Widget♥ app on your smartphone or tablet. 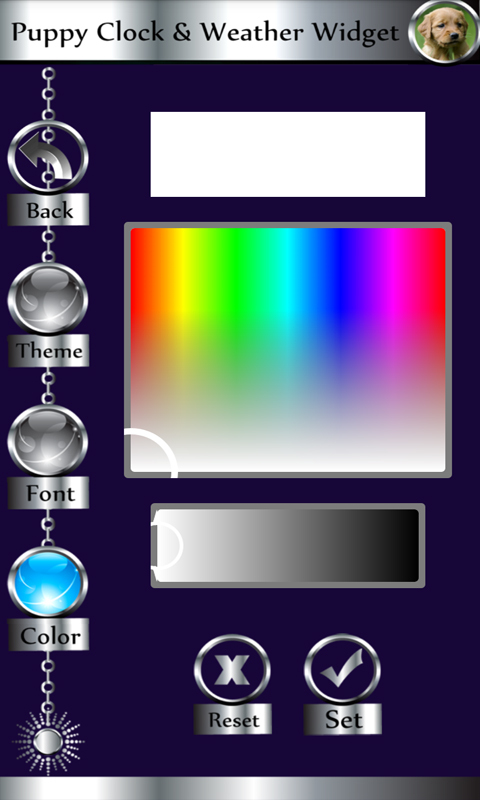 Customize your mobile device with this turbo booster battery widget!